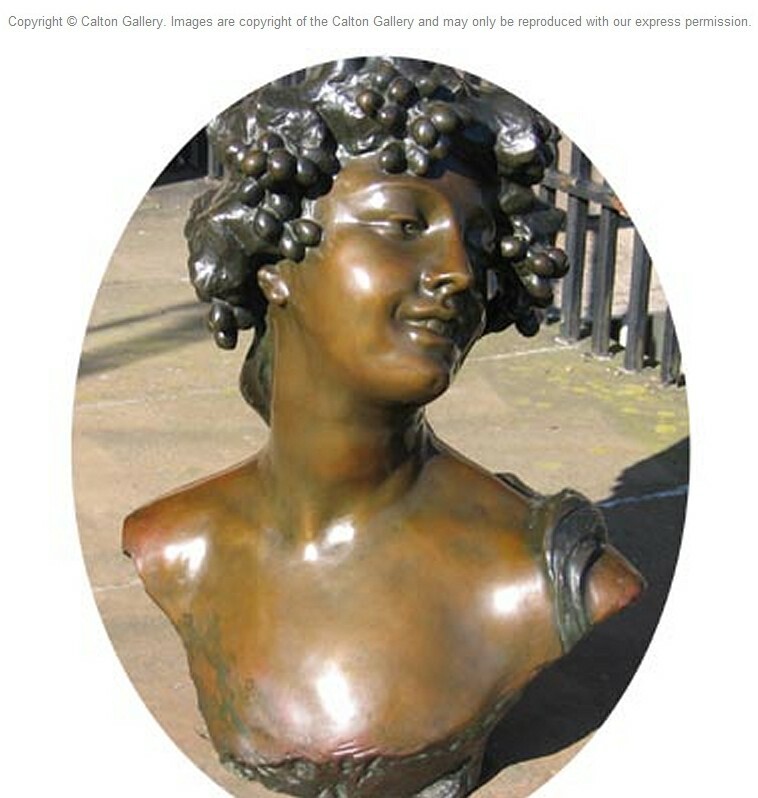 Bacchante, a Bust. The Bacchantes were priestess escorts to Dionysus, the twice-born god (Bacchus), who were captured by Lycurgus but miraculously set free in Thrace. The vines entwined in the Bacchante’s hair symbolise Bacchus’ association with wine and licentiousness. Bronze, mid-brown and green patinas, signed ‘Jef Lambeaux’, 20 ¾ inches tall x 12 inches across. 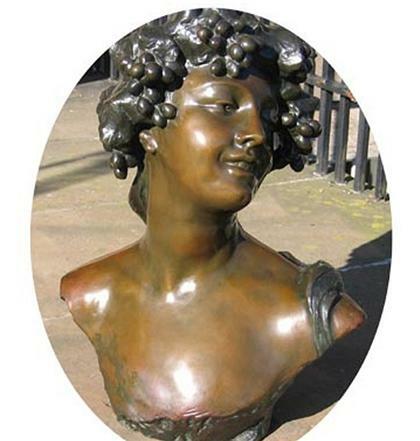 Leading Belgian figurative sculptor of the Belgian Realist School of the late 19th Century.